Hey, everybody! On this video you'll find out my updated 2018 Custom Audiences and Lookalike Audiences Strategy so you can create an outstanding Facebook campaign. 1 – Determine your intent from lowest to highest: Highest audience: People that have already purchased from you. Lowest audience: People that haven't heard about your business yet. 2 – Video viewers: A great way to go out there and create a big audience fast. 3 – Content viewers: People that just land on your website or content pages and bounce or people that just view content once. 4 – Leads: People that are actually leave their email or phone number because they had opted in for your stuff. Leads are a great way to create custom audiences. 5 – Sales page visitors: if you're running an eCommerce store, you want to use “add to cart”, so instead of leads you want to do something like product visitors. 6 – Order form visitors: People that are actively willing to put in their details. They have add it to cart but they have visit the order form. Try “add a payment details” button. 7 – Purchasers: They purchased once, twice or LTV (lifetime value), meaning high lifetime value of customers. This is one of the best audiences that you can create. You can create them with email or Pixel Events. Now remember this: You need at least a thousand people in any given audience for a custom audience to be effective. You can create a lot of customer audiences. And, if you have the option to create other email or pixel related audiences, I would suggest you do both. Hey everybody, what's up? On this video you'll find out my updated 2018 custom audiences and lookalike audiences so you can create a pretty badass Facebook campaign. Now back in the day I think it was like, I don't know, maybe a year ago, which in Facebook terms, is like … You know, it's said that a human year is like seven years of a dog's life. And well, in Facebook it's like a thousand years, okay? So I made a video a year ago or something like that, but now it seems like it's been a thousand years since I made that video because everything changed so fast. So in this video I wanted to give you guys kind of an update overview of my custom audiences, plus lookalike audiences strategy so that you can get a lot of good results with your Facebook ads. Now, with that said, you know, Facebook changes really, really quickly over the past week or so. It's changed, I don't know, 10 times? So, you know, it's mutating, and it's pretty cool. It's actually pretty exciting. So if you want to stay at the top of your game, there's two main things that I would recommend. Number one is to subscribe to this YouTube channel. I try to put out as much content as possible so that you can stay on top of your game and you can stay ahead of the competition. You can stay right there when the changes occur. And number two, that you come and join the free Facebook group. Over there we are like the living and breathing Facebook group happens, and the discussion happens so that you can come and join and we have a lot of fun as well. So with that said, let's go over a really, really powerful custom audiences and lookalike audiences. I told you guys that I record a couple of videos back in the day, one of them was how to actually turn a couple hundred subscribers into a couple million people that you can target on Facebook. So that was number one. Number two is also how to use layering, you know, lookalike audiences with interest. And there's also going to be links and everything on screen so if you want to check them out. They're still really relevant. But I want to share with you a strategy that I recorded from my top of the line, super secret squirrel group where I share, you know, the top to bottom of my funnels. And I wanted to share with you guys that strategy that I recorded for them that will show you exactly what type of lookalikes and custom audiences to create the funnel, and how to get the most juice out of them. So let's hop into the computer real quick where I want to show you how to create those really badass custom audiences and lookalike audiences for your business. Here's what I have for you guys today, which is basically a graphic showing you the different kind of audiences that I put together. And there's going to be a link somewhere around here so that you can download it to your PC and to whatever else you want to download it to. And the reality is that there's these several type of custom audiences that you can create on Facebook, and there are several levels and degrees of intent. And by intent I mean basically people that are interested on your services and they really want to go ahead and buy it, right? So you have the least amount of intent, and then you have the highest amount of intent, which is people that have already purchased from you. All right? And between these two extremes, you have all of these different custom audiences that you can create. And then based on a custom audience, you can actually create a lookalike audience. So it's kind of doing a kind of a Facebook funnel based on these audiences. So anyway, let's jump into this real quick where I want to share with you guys how this works. Here we have custom audiences, right? So we have an intent degree or an intent scale if you would, that goes from lower to higher, all right? So the lower the intent is the color the audience is. So the lower the intent are people that haven't heard about us, they do not know who we are, they haven't heard about our stuff, and they had like one potential interaction with our brand. Meaning they had one touching point with our brand. And Facebook is really good when it comes to actually creating these intent-based audiences when it comes to people that have interacted with us, all right? So by having some news campaign, or having some new content campaign and sharing our content on Facebook, we can actually populate these audiences. All right? But again, these are like the colder audiences out there. So let me share with you guys which one these are, so we have video viewers, all right? So again I'm a big proponent of video viewers when it comes to actually growing a big audience fast. So video viewers is anywhere between 10 seconds and 25%, you can even go with three second video views, which is an option that you have on Facebook. So I would say between three seconds or 10 seconds and 25%, depending on how long your videos are rather, that's going to be one of the biggest audiences that you can create. And let me tell you guys that these audiences depend heavily on your funnel. Not only that, but they also depend on what kind of interactions you have at your funnel. And by any means, this is not an exhaustive list, this is just the list that I'm using. There's a lot of different audiences that you can create in between. I was talking to a guy earlier today that he would do, I don't know, if people click on any link, or if people scrolled 50% of the content, they would put them into another audience so that he can create lookalike audience. The first thing we have is video viewers, which again it's a great way to go out there and create a big audience fast. The next thing is view a content one, like once or bounces. Meaning, people that just land on the page and bounce or people that just view content once. And I usually use the content campaigns when I'm pushing out blog posts. So when I'm pushing out blog posts, piece of content that are really good, are really valuable, I use view content campaigns, which are basically another fancy way of saying landing page views or click campaigns, traffic campaigns, etc. And then we have an engagement side of things, and don't worry because I'm going to walk you guys through all of this. We have the profile visitors. Which are people that visit either our Facebook page, or they have visited our IG profile. They don't necessarily have to be engagers, but visitors. If you think about it, engagers have a little bit more intent. Anyone that has engaged, has either click or commented or share or liked our stuff, whether it is on IG, on Instagram or Facebook. So engagers are a little bit warmer, if you would, than just a visitor. So now, I have video viewers from 50%-95%. I have for example on my Facebook page, I have these long videos, long meaning they could be anywhere between five to 10 minutes long. And they're really long in internet terms, right? But the point is that video viewers can be anywhere between 50%-95% meaning that if somebody lands on a 50% custom audience, that means that they at least watched five minutes of a video. Which is a long time in Facebook terms or in internet terms, etc. So video viewers, 50%-95%, that's the next step. View content also, people that watched or that landed on a blog post or a blog several times, like three or four times. Those are higher intent audiences, and then engagers. Okay? People who commented, clicked, they like, they share our stuff, so those would be considered engagers. So moving on, on the next step of the intent we have leads. People that have opted in for our stuff. These are not people that just have visited our consumer content, our free content and gated content the way I like to call it. But these are people that are actually leaving us their email, or leave us their email, their phone number, whatever that is, you have leads right there. And I think that leads are a great custom audience to create, and you can both create leads based on page visits meaning, if you have a lead magnet or something out there that you're giving away, even for eCommerce. If you're giving away something for free, then the “thank you” page would be the trigger for this audience. I'm going to show you guys how to do this, don't worry. Or you can upload your list, all right? 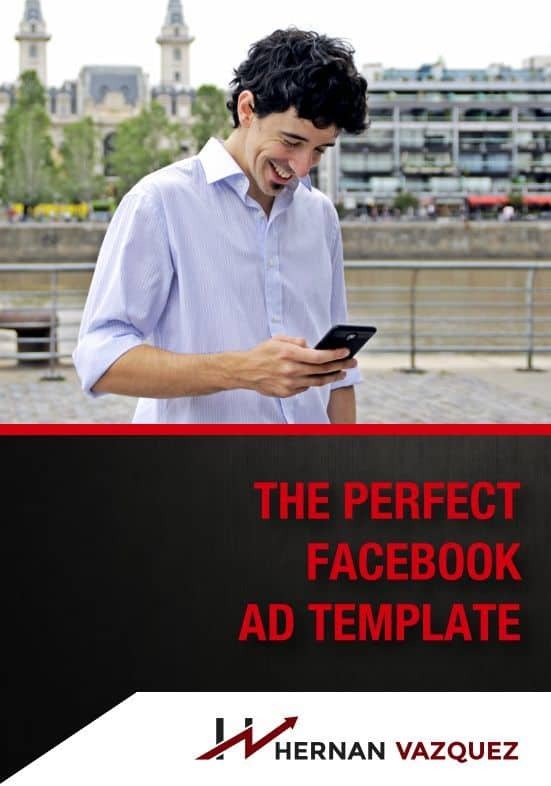 You can upload your list to Facebook, and you will be able to create this leads list. Basically this is what you're doing, all right? So leads are a great way to create custom audiences. So people that have taken a step further. Then you have webinar attendees. If you're running a webinar funnel, you have the leads, but you also have the webinar attendees, which are two completely different audiences, all right? Usually the leads are going to be higher than the webinar attendees just because of the fact that not a lot of people that sign up for a webinar will end up attending. So I like to make an additional audience, and again you can create a webinar attendees only space on a list, like your email list, you can upload that, and you can import that into Facebook, or you can have a trigger-base enough page, like on a webinar or live page or whatever, right? And this also applies for evergreen webinars, all right? So have that in mind. Then moving on, we have added to cart, or sales page visitors. This depends on your final. So if you're running an eCommerce store, you want to use “add to cart”, so instead of leads you want to do something like, I don't know, product visitors, or whatever, and then you have people that add it to cart. That's another step. And then you have sales pitch visitors, which are again, depending on your funnel, you can go from a webinar to a sales page and then those will be another step, right? So again this depends strictly on your funnel, but I think that these two are kind of on the same spectrum if you would. Then we have order form visitors. Order form visitors are people that are actively willing to put in their details, all right? So they have add it to cart but they have visit the order form, and sometimes in the middle or a little bit warmer you can put “initiate checkout” or you can put something like “add a payment details” or [inaudible 00:11:31] and Facebook will allow you to do that, if you're running eCommerce. If you're not running eCommerce, order form visitors, I think are a step ahead than the [inaudible 00:11:41]. Because they need to click on your “call to action” button. And then we have purchasers, all right? Purchases is the second most powerful … Or it will be the first most powerful audience that you can create. So purchasers is one of the best audiences that you can create. Purchasers have purchased one time from you, and then you have purchasers that purchases twice plus, or LTV, meaning lifetime value, like high lifetime value of customers. Now on purchasers again, you can create audiences based on email. You can upload all of your purchases, which is something that I would strongly recommend you do. And you can use something like the purchase event on the [pixel 00:12:28], if you actually get this campaign trigger, all right? And then you have purchasers twice, or twice plus or LTV. LTV meaning that you can upload your list of purchasers, but you can also set up an LTV, meaning an LTV audience where Facebook will automatically sift through the higher value, the higher ticket customers and the lower ticket customers. So let's say that you have an eCommerce store, you have people that spend, I don't know, 200 or 500 bucks with your store. And then there's people that spend, I don't know, 5 or 10 bucks with your store, that's completely 100% normal, and you want to kind of separate the two because they don't have the same value for your company. And then you have purchasers that purchase several times from you. So out of all this, all of these customer audiences, we have one, two, three, four, five, six, seven, eight, nine, 10, 11, 12, 13 custom audiences. Out of all of this you can create lookalike audiences. All right? Which is pretty cool. Now remember this, you need, by Facebook itself, you need at least a thousand people in any given audience for a custom audience to be effective. The bigger the seed audience, the most effective the custom audience will be, with a minimum of a thousand people. Granted it's easier to have a thousand people watching your video for 10 seconds, or visiting your blog, or visiting your profile on Facebook than having 1,000 purchases that purchased 500 buys from you. But still you want to create these customer audiences, all right? So the higher the intent, the smaller the audience, but the most powerful it's going to be. So the best case scenario for your company is that, you know, at some point after doing Facebook and after subscribing to the channel or subscribing to my Facebook channel or to my YouTube channel, liking my Facebook blah, blah, blah. You have a lot of purchasers, but ideally before creating a lookalike audience, you want to have at least 1,000 people, all right? That's by Facebook leads. If you don't have 1,000 leads, it doesn't mean that you cannot create a lookalike audience, you could. But it's not going to be as effective. So if you don't have a thousand leads, don't worry, just go with a thousand video viewers. All right? Or a thousand people that visited your blog post. Or a thousand engagers on Facebook. If you run a video views campaign or if you run an engagement campaign it's super easy to get to a thousand people, all right? And then you go down the funnel. And again, the lookalike audiences can be 1%, 2%, 5% and 10%, those are the lookalike audience that I usually create. Then I segment them by countries, meaning top-tier countries, U.S., U.K., Canada, New Zealand, Australia. And then I have the high GDP on Europe, you know, Germany, France, Italy, Spain, etc. And then some high GDP countries across the globe. Depending again on your funnel, and depending on your audiences. So let's go step by step on the actual audience manager so I can show you guys how to do this. So let me actually see if I can split this screen for a minute. If not, I'll see what I can do. So let me see if I can split the screen. Okay. So I should be able to split the screen. So here we have … We have one of my business managers, this is mostly for testing purposes. So let's start and create all of this, all right? So we have video viewers, which is pretty simple. You should start to create audience, custom audience, and then you hit the engagement, and then you go to video, and then you choose the content type which is going to be 10 seconds. And then you choose the videos, right? So if I go to my page right here, I have a bunch of videos that I can use, all right? So I have a bunch of videos that I can use and then boom! I'm going to have my 10 second video viewers. For this you want to also create 10 seconds, three seconds, 25%. Now let's move into the view content. This is easier, because you go to custom audience, you go to website traffic, and then you have several options here. For this view content you can have a piece of content that you have, all right? Like a blog post or something, or you can just go by all website visitors, like in the past 180 days. All right? That's how you do it. Then when it comes to profile visitors you go to engagement again, and then you go to Facebook page, and then include people who meet any of this following, anyone who visited your page. Visited your page yet, on this case your Facebook page. And then on the IG level, you can go with Instagram business profile, and then who visited your business profile. So that's how you do it. This is how you do these three. Now video viewers, pretty similar to the other one. You just select instead of three seconds, 50%, 75% and 95%. Then “view content” several times. This is interesting. So you go back, you go to website traffic, and then let's say that you have a “view content” tag on a blog, right? And then you can refine it by frequency, or you can actually, people who visited specific web pages, so for example let's say hernanvasquez.com/blog. In the past 180 days. That's going to be my blog. And then you can further refine by frequency. So frequency is greater or equal to two or three, right? So this means that people will land on this custom audience when they visit my bog post several time, or my blog several times. So you can go from three, four, seven, 10, whatever. Let's see if I can do page view, refine by … You can actually refine the page view by URL frequency. So on this case it's going to be several times, like two, three, four, five or 10 times that they visit your blog post or whatever blog post or your blogging channel. The next thing is going to be engagers. So again engagement, Facebook page, anyone who has engaged with your page in the last 365 days. And an engagement means a click, a comment, a like, a share, etc. Then you can do the same with Instagram, anyone who engage with your business, on this case is going to be Hernan Vasquez Marketing. So everyone who engage with your business in the past 365 days. These are longer span audiences than the website visitors. As you can see website visitors is only 180 days. On this case I can do 365 days, all right? So this is interesting. Now, when it comes to leads, you can actually do two things. Number one is you go to customer file and you can add your customers from your list, so you will upload the list from your order responder, you export that, and you import that here, you upload the file. Or what you can do is to go to website traffic, and you could say, people who visit specific web pages, so let's say that after somebody signs up for the webinar or to download something for free, they get this page. Right? So it's going to be thank you, right? So hernanvasquez.com/thankyou. So everyone that lands on that page over the past 30 days is going to be counted as a lead, right? I usually do both. I usually do both. I usually upload my list, but I also have this pixel trigger audiences, right? And you want to actually go ahead and you want to actually … I usually put that on the name of the audience, so it's going to be leads email, for example leads pixel, right? Depending on what kind of audience you want to have. Then the same with webinar attendees you want to go with website traffic. You can either A: Import a customer file, you export that from your webinar platform, and you export this from your webinar platform, and you can upload that customer file or website traffic every time somebody lands on your live session. Right? So that's going to be webinar attendees. Then “add it to cart” the same thing. You can export for example from Shopify, you can actually go ahead and export the abandoned carts and upload them there, and the sales page visitors is going to be website traffic and you put the URL of the sales page here or the URL of the cart here. All right? So if it's like hernanvasquez.com/cart, that's going to create the custom audience or a /sales page, right? Moving on, order form visitors, again, hernanvasquez.com/order, right? Or what I could do, sorry about that. Or what I could do is to go to website traffic and instead of always website visitors I could do a “initiate checkout” so if you have your pixel installed you can actually do “initiate check out” here. All right? So that's the next one. And then purchasers again, you can upload your own file purchasers, or you can actually do website traffic for the past, like the last step of your funnel, right? So purchasers, hernanvasquez.com/thankyouforyourpurchase something like that. Or you can actually go here, and you click on all website visitors and you click “purchase” all right? In the past 30 days. And then you can actually refine by frequency, which is going to give you this one twice or plus. Or what you could do is to go back and customer file and you can include LTV. Which is really, really powerful. All right? And out of that you can create a lot of customer audiences. Again guys if you have the option to create other email or pixel related audiences, I would suggest you do both. And then create custom audiences out of that or lookalike audiences rather and see how it works. All right guys? 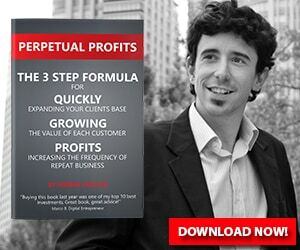 Hernan Vazquez is a digital marketing trainer and consultant that built several 7 figure businesses from scratch. He specializes in helping business and students grow their online businesses through the use of Sales Funnels, Paid Advertising and Email Marketing. Copyright 2017+ Hernan Vazquez Media LLC. All Rights Reserved.